As 2013 wraps up and the last of the presents have been opened, the next thing on everyone’s mind is New Years. After one last night of guilt-free fun on the 31st, the first can be a rude awakening. It’s when we decide to be the best version of ourselves. The version that we’ve never been before—but are certain that now we can become. The most common resolutions are to exercise more, eat healthier, lose weight, keep a journal, spend more time with family, spend less money, etc, etc. In an ideal world we would already be doing all of these things. While it seems like no one can ever keep these resolution, we always try… And that’s not a bad thing. We want to be better versions of ourselves, and to accomplish that it takes small steps forward. While we aren’t going to become our best self overnight on the 31st—and some of us might be our worst selves—we can take measures to improve. The most successful resolutions are small enough that we can realistically accomplish them, but big enough that we and others can observe a difference. So maybe instead of cutting all carbs, working out on the elliptical three hours a day while writing in your new journal, pick something small. If you are bad about dessert every night, cut back to three nights a week. If you haven’t been to the gym in years, try a brisk walk a couple times a week with a friend. Finally, if you have a pile of journals three feet high with one ten-page journal entry dating back the past 10 years, maybe try a different resolution. 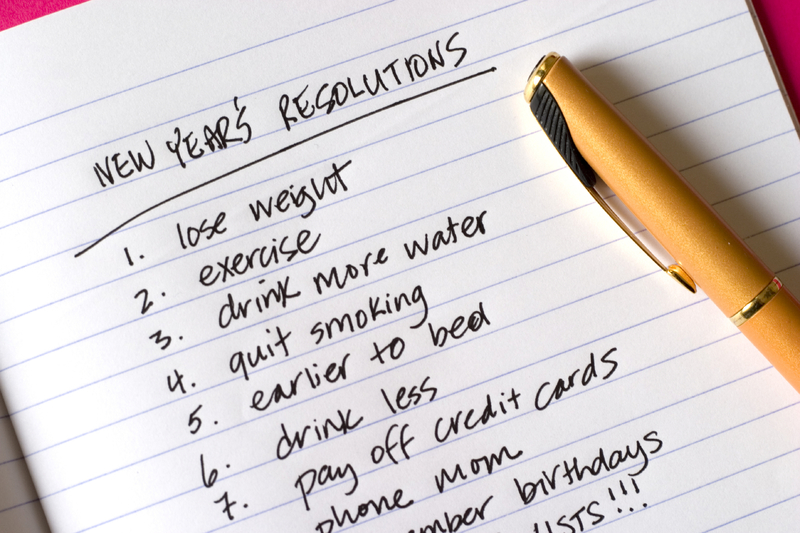 Resolutions are great, and the first of the year is a natural time to improve, but choose wisely. So good luck and enjoy the carbs while you can! 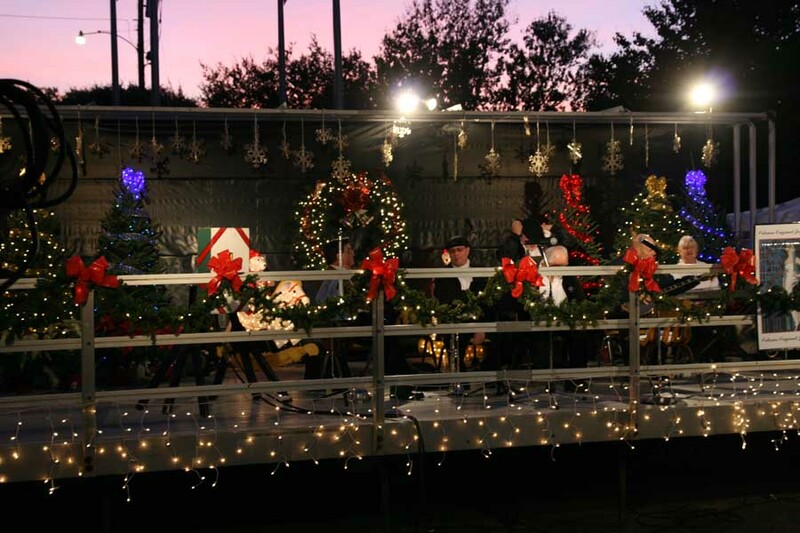 In addition to the normal Christmas festivities that every town has such as decorated streets and the feeling of Christmas in stores all over town, Kenner residents look forward to the “Christmas Village” every year. It’s an event that the entire family can fully enjoy, so whether you go every year or you’ve never been, it’s a special event. Residents come together in Historic Rivertown to celebrate the Kenner Christmas Village. At this annual event, Kenner is turned into an enchanted holiday village! There is an animated scenery of Christmas lights overlooking the park and the pond. It’s an event that the whole family looks forward to every year. There’s a little something for everyone—between the caroling, holiday characters in costume and Santa, all ages are sure to have a good time. If that’s not enough to get you excited, it also has laser shows from the Planetarium and the CinemaDome. Attending the winter festival is free and everyone is welcome to join in on the holiday celebration. It’s part of the Kenner culture that everyone participates in! The Christmas Village is open from December 6th to December 22nd on Fridays, Saturdays, and Sundays from 5:30 to 8:30 pm. It’s all month long so there’s no reason to miss the festivities! If you want to know what comprises a Louisiana Christmas, the kitchen is a good place to start. Many Louisiana traditions are created in the kitchen and the holidays are no exception. While there are lots of traditions that don’t include food, most of our favorite ones involve a table full of food and family. Obviously seafood is involved in several dishes, ranging from tradition seafood gumbo to oyster and crawfish stuffing. Gumbo is good on any occasion and a tasty crawfish stuffing is perfect to include inside a turkey on Thanksgiving, just as a side, or even in a Turducken—another Louisiana classic. The Turducken was actually invented in Louisiana and is served on Thanksgiving either in addition to, or instead of a turkey. It is a chicken inside of duck inside of a turkey. It may seem unconventional, but it’s a local favorite & classic. In terms of things to do around the holidays, there are events going on all over the state. In New Orleans, there is Celebration in the Oaks at City Park, huge lighting displays across the park and in the gardens with traditional holiday and Cajun holiday displays. In St. James Parish, they have the Festival of the Bonfires. This celebration dates back to the 1800s and comes from French and German traditions. If you like zydeco music, Lafayette has a month-long Cajun and Creole Celebration that has nightly entertainment. Between food and events, there’s no shortage of holiday tradition anywhere in Louisiana. The weather may be 70 degrees, sunny and we may never have a white Christmas, but New Orleans does have some pretty fantastic Christmas traditions of its own. Louisiana has rich traditions and events when it comes to the holidays. So if you’ve lived here your whole life, or are just in town for a brief visit, make sure you do a couple of these things this year. To start, The Celebration in the Oaks has a breathtaking lights display in City Park. The lights are worked into the natural landscape of the park and have both traditional holiday displays and special Cajun light displays as well. It is a don’t miss for sure. If you find yourself in the French Quarter near the Roosevelt Hotel, it is definitely worth walking through the lobby. It has a huge Christmas tree as well as marvelous decorations and lights—it truly looks like a palace. Be sure to stop by either just for the view or after dinner at Domenica. You can also stop by St. Louis Cathedral for the Christmas New Orleans Style concert series. While enjoying the scenic Jackson Square you can also take in excellent music at one of the most beautiful and historic cathedrals in the country. These are only a few of the many things to do during the holidays in New Orleans. It doesn’t even begin all of the New Orleans holiday food! It happens every year, you get all of your gifts except for one: HIS! Shopping for men can be frustrating. For women, jewelry and clothes are usually a safe bet, but men’s gifts can be much more difficult. So, to ease your gift giving this year we’ve compiled some of our favorites. A new bowtie/tie—This may seem overdone, but a good tie is always useful. 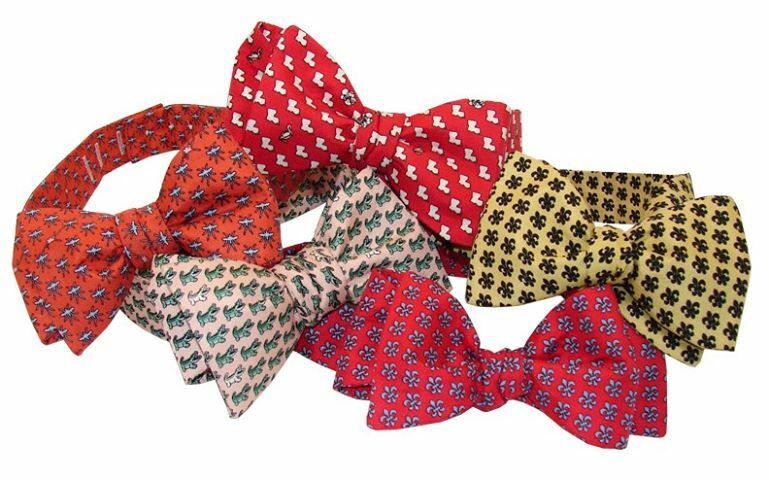 So depending on if he is more of a bowtie or tie guy, a tie is always a good staple to add to the wardrobe. Belt—Either a black or brown belt is always a safe bet. Similarly to the tie, even if it seems cliché, he’ll always appreciate another. Tools—Depending on if he’s a handy man, mechanic, or gourmet chef, there’s always some kind of tool that he’ll find useful. Keep in mind, the best ones are the ones he would never think to buy for himself! Sunglasses—Whether it’s the middle of the summer, or the sun reflecting off the snow, sunglasses are a necessity. Also depending on the guy you’re shopping for he might never buy himself a nice pair. Headphones—A good pair of headphones is timeless. No matter their age or technical aptitude, some nice headphones are always useful. And again, he might not get good ones for himself. As you wrap up your holiday shopping, we hope you keep these in mind. With these five gift ideas, you can’t go wrong this holiday season. Happy shopping! Everyone’s Christmas list is different. The children’s lists are different from the adults, and adults’ lists vary from one another. Some families may be buying new houses, new household appliances, etc. If there’s a vehicle on the list in your family—we’ve got some suggestions. Regardless if it’s a first car for a teenager, new family car, new truck, new van, you name it, we have the country’s best selling & safest recommendations for the entire family. If you’re looking for a sedan, keep the 2014 Ford Focus in mind. There are seven different models of this fuel efficient and roomy car with numerous options for accessories and features. It’s the all around go-to car when you’re looking for reliability and practicality. When it comes to an SUV, we can’t get enough of the 2014 Ford Edge. The Ford Edge has four different models built to serve a variety of needs. From the SE to the Sport, the Edge is completely capable of fulfilling your SUV needs. Now when it comes to buying a truck, we suggest a classic—the 2014 Ford F-150. No one can get tired of a good truck, especially considering its new features and towing capability. It was voted America’s Best- Selling truck for 2013 and for good reason. Hopefully these picks will make your Christmas shopping a little bit easier. Between the Focus, the Edge, and the F-150, you really can’t go wrong. After years of constant change, both in location and name, the New Orleans Pelicans appear to be here to stay. After starting out in Charlotte, NC then moving to New Orleans, furthermore being bought by Saints owner Tom Benson, the Pelicans have had its share of transition. Tom Benson is a man who knows New Orleans. As owner of the Saints for nearly 30 years and a lifelong New Orleanian, he knows how deep residents’ and fans’ connect to the city is. That’s why upon purchasing the Hornets, he quickly announced he planned to change the name of the team. Benson wanted a name that was more meaningful to the city and the area. After originally trying to take the “Jazz” nickname from the Utah Jazz, which originated in New Orleans, and failing he considered names such as “Brass” and “Krewe.” Benson finally settled on the “Pelicans”, Louisiana’s state bird, specifically the brown pelican. So, with the help of some local connection, the Pelicans can hopefully start to turn their losing record around. Regardless of a winning record, with some fan love, maybe the Pelicans can get the same kind of Nola love as the Saints. As the New Year begins, everyone looks for a way to start fresh. If starting fresh means a new car this year, we have some ideas. Here’s the top 10 Fords of 2014. F-150—The F-150 has been around the block a few times, but it’s tried and true. It’s the perfect truck for hauling and was voted America’s Best- Selling Truck in 2013! Focus—This sedan comes in seven different models and offers drivers fuel efficiency with up to 37 MPG on the highway. Fusion—You can spot this baby a mile away! The all-new redesigned Fusion has eight models and is a great mid-size sedan that is also fuel efficient with many accessory options. Taurus—The new Taurus is completely revamped with a sleek exterior and a luxurious interior. It has four models and also has numerous accessories. Escape—The Escape has four models and is the perfect fuel efficient SUV for someone on the go. It gets up to 30 MPG on the highway and has a sporty look. Explorer—The Explorer’s new look is both attractive and highly useful. It’s ideal for weekend adventures or family vacations. Expedition—The Expedition has a spacious interior and also comes in six different models. Perfect Mom- Mobile for the expecting or the mom who already has her hands full! Super Duty—The Super Duty truck is the ideal truck for your work. It is the strongest and toughest truck around. Fusion Hybrid SE—The Fusion Hydrid SE is a highly powerful, yet efficient sedan. It gets 47 MPG in the city. Focus Electric—This car gets an astounding 110 MPG in the city. It is the ultimate fuel-efficient car and still has a sleek exterior. Keep your eyes out for them on the road during the coming year. This array of vehicles covers the needs of pretty much everyone. If you’re a Saints Fan, you know there are good years to be a fan and there are bad years. Nonetheless, if you’re a Saints fan- you’re a fan for life! We have our ups and downs, and luckily this year is an up. Tom Dempsey’s record breaking field goal—On Nov., 8th 1970 when Dempsey kicked the 63-yard field goal he set a record in Tulane Stadium that has yet to be broken over 40 years later. The New Orleans Superdome opened—In 1975, the Saints moved to the New Orleans Superdome, and although it wasn’t the best of times, it was the beginning of a new era. The addition of Drew Brees—In 2006 when Drew Brees joined the team, he kick-started the city and made it a great time to be a Saints fan. He quickly became the face of the team and a pillar of the New Orleans community. Winning Super Bowl XLIV—In 2009, the Saints had their best season yet with a record of 13-3. They went on to win the Super Bowl against the Indianapolis Colts—the first time for both seed one teams to go to the Super Bowl in 16 years. This 2013 season—there’s no time like the present and right now the Saints have an impressive winning record. Let’s just say there could be another Super Bowl in our future. When we think about Black Friday, we often think of just one day of savings and great deals but as consumers ramp up their holiday shopping it seems as if Black Friday has become more of a season of shopping. Due to consumer demand, it’s virtually impossible to get everything you need solely on Black Friday therefore the span of Black Friday shopping has expanded and so have its products. It’s now more than just clothing and department stores—you’ll be hard pressed to find one store that doesn’t offer some kind of promotion. Every retailer from specialty boutiques to car dealerships are offering specials to their customers during the Black Holiday season. With this amount of shopping, virtually every industry is feeling a boost. In fact, the car industry anticipates a 3.6 percent increase in November alone. This year is expected to be especially big because Thanksgiving is so late. Now, consumers only have 25 days between Black Friday and Christmas to get all of their shopping done. For this reason many retailers, including Lamarque Ford, are offering specials for their customers. Lamarque has extended their annual tire sale into December from the 5th through 7th. They are even offering a free set of tires up to $700 value. The season of shopping is officially upon us! Happy shopping.